Salaams and welcome back to the Halal Blogosphere where we headed to China Town in Birmingham last night for the opening night of BRB’s enchanting performance of Cinderella at the Birmingham Hippodrome. 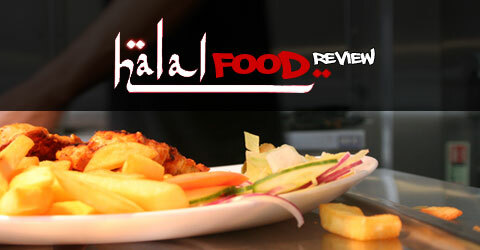 We’re not just purveyors of good food here at the Halal Food Review we do like a bit of art! If you’re heading into China Town it does make sense to try something Oriental for your pre show dinner. Sadly its not that easy to get a good halal Chinese in Birmingham in terms of the full sit down experience. Fortunately we do have a number of noodle bars around the country to keep us going to get a mini Chinese halal experience! So if there are any budding restauranteurs reading this please open a decent full sit down halal Chinese eatery in Birmingham! Chop Chop Noodle & Salad Bar is located directly across Birmingham’s famous albeit now looking slightly run down Arcadian Centre on Hurst Street, it is located next door to the nearly equally famous Mr Egg an institution with clubbers who need a post party fix. They serve halal food too for some of our partying / clubbing Muslims …. moving swiftly on! What about the food I hear you cry. Chop Chop follows the standard noodle bar model where diners select a noodle or rice base, then add their choice of meat, seafood or vegetarian extra followed by selecting a sauce or flavour. What I do like about Chop Chop is that they have some interesting and new flavours that are unique to the chain rather than one of the other branded outlets. It gives you more reason to mix and match your dining experiences. A full menu is attached further down the review for your reading pleasure. Chop Chop Noodle & Salad Bar has limited space for eating in, they have 3 or 4 bench style tables. I’d imagine most of their diners will opt for a take out option. Sitting in is fine but it can get a bit steamy with the live cooking taking place. Apologies for lack of photos in this review, we’ll see if we can get some added at a later date, We didn’t have the best conditions for photography. We opted for one selection from the mixed meal which includes a drink and prawn crackers. I opted for the Stir Fried Chicken Chow Mien with Egg Noodle whilst the wife opted for the Pad Thai with Rice Noodles. The Pad Thai was a definite hit, it really had some unique flavours and tastes, I definitely went for the safer option which was of a good quality too but it lacked the spark and adventure of the Pad Thai. Credit to the chef he did tell me I had gone for the safe option! The one big difference I did note between Chop Chop and Chop N Wok is the level of sauce with the dishes. Chop N Wok noodles come with a lot more sauce, sometimes too much sauce which sits at the bottom of your noodle box. Chop Chop has a lot less sauce. Can I be really demanding and state that my preference would be for a sauce quantity and consistency in between the two! I do like Chop Chop’s longer flatter boxes, it spreads the meal out a bit more and their noodles seem to be easier to eat without making a mess! So if sauce is a factor it might come into play on where you decide to eat! Service was a highlight, the front of house staff were really friendly, they knew their menu and were not afraid to recommend suggestions to us. They were friendly and courteous without being overbearing. I like it when staff are passionate about their food and are happy to share what they would order from the menu, it gives me a bit more confidence in a place I am eating in. Overall our dining experience at Chop Chop was enjoyable, its good simple food at a reasonable price and perfectly located in the heart of ChinaTown. Its definitely more of a take out place, but if you need to stay in and eat you’ve got the benefit of having seating available albeit limited. This is very useful in the current bleak Winter conditions in the UK.